This is, without doubt, a huge achievement for Sri Lanka and we extend our congratulations to the Government of Sri Lanka and the Colombo Chief Magistrate for his directives. Bing is here: is it time for change? 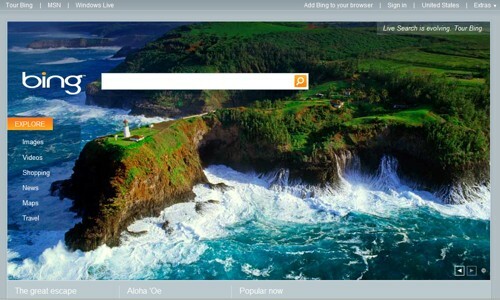 Microsoft’s new search engine, or “decision engine” Bing is probably the first competitor to Google. What’s more, research even suggests that Bing has gained a tiny increase in market share in the search engine war. Without doubt, there are some cool features in Bing that would attract even some of the ardent Googlers of this earth. At first glance, the results page looks similar to Google but the similarity ends there. In fact, the results look nicer than Google, especially the image search (multi-size thumbnails and grids, different choices of detail, filters by image size, colors, etc). I just love how sounds and videos are embedded into search results and how there’s a mouse-over for a small preview. Then there is this nice hovering feature at the right edge of a search result where more information is displayed without having to click through to the page. I also love the colourful front cover photo that changes each day and how you can float over it to find more information. You are currently browsing the Web Design Blog – Webvision Sri Lanka blog archives for July, 2009.